Yaqin MS-100C is a push-pull amplifier based on KT88 power lamps generating power 2x 55W (8Ω, UL mode) or 2x 28W (8Ω, TL mode). 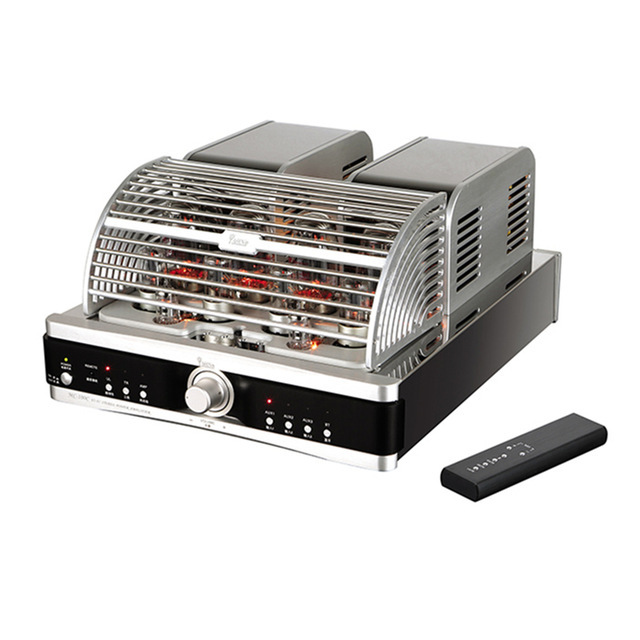 The amplifier is equipped with a protective cage for lamps and a remote controller. The use of high-quality components is a guarantee of exemplary reliability.